San Diego, California – Good news for the San Diego drivers. Now four DMV kiosks added to San Diego County. 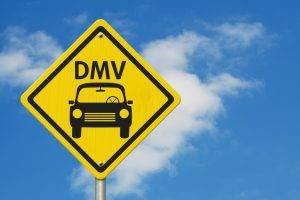 It means San Diego drivers can now renew their vehicle registration and license plate sticker instantly at new DMV locations. Those four DMV kiosks are part of grocery stores in the San Diego County. San Diego’s drivers can found DMV kiosks at these locations: Albert stone, at 1601 S. Melrose Dr., Vistas, CA 92081. The second is located at 3rd Avenue, 720 Chula Vista, CA 91910. You can find one also at 3455 Del Mar Height Rd, Del Mar, CA 92130. Ralphs will also have a DMV kiosk for drivers of San Diego. The requirement for the transaction the drivers will be asked to introduce vehicle registration renewal notice or most recent vehicle registration card. The instruction at all these locations is available both in English and Spanish. The DMV new kiosks at the Alberstone and Raleigh locations will accept credit/ debit cards. The DMW is planning to add 15 more kiosks by the end of the year.